Have you heard about PaperShaker cards and invitations? No? Well as part of the very successful PhotoBox parent company they are a relatively new site allowing you to use your own photos to create very cool and unique cards and invitiations. I know there are lots of sites out there like this one but this review will show you that PaperShaker is well worth the look. Here’s what I found when I tried it out for myself. 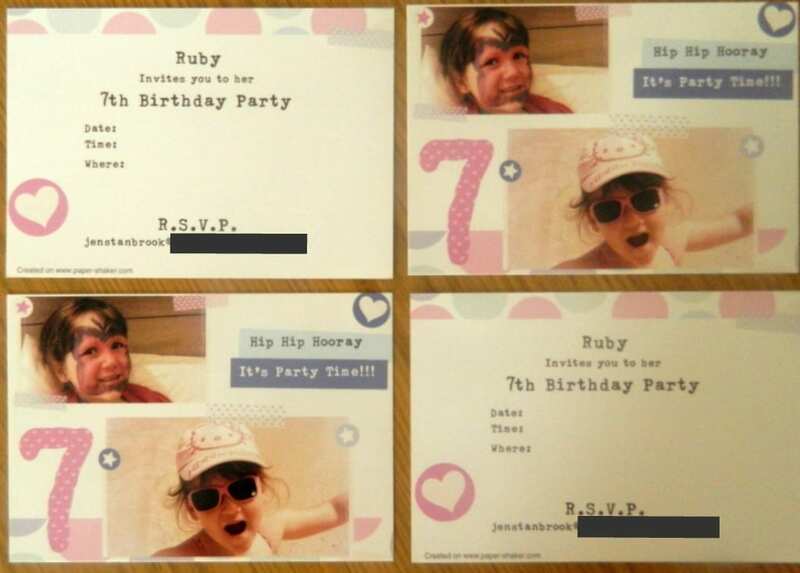 The great Birthday party invitations were created using the PaperShaker site and online design facility and I can’t tell you how much fun it was. 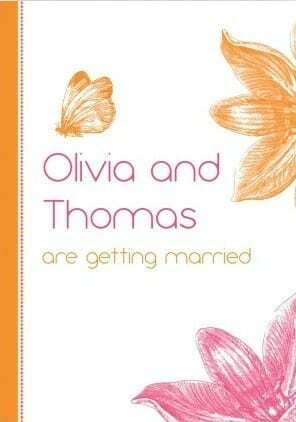 Currently you can choose either wedding stationery, party invitations or baby announcements. for this review, the party invitation was the obvious choice for me (no weddings or new babies around here!) and Miss R’s will be next. With over 70 designs to choose from it was tricky to narrow down my favourite, but I love ‘In the Spotlight‘ and its washed out vintage style. After the design has been chosen there’s still plenty you can do to customise the invite. Of course the main feature is the ability to upload your own photos and edit or add a finish to them before adding them to the card. This was really easy and great fun, and I played about for ages getting the right photos and effect. Then you can do pretty much anything you like to alter or add to your design. Options for adding more numbers and patterns are there, and they all ‘fit’ in with your existing design. I added the Birthday age and a few more shapes and stars. I also changed the sizing on the images. Originally my design showed the two images as equal in size but I wanted the lower image to stand out more so made it larger. The whole process was really easy, the site was responsive and intuitive and the options extensive. Of course that’s not all. You also get to design the reverse of the card too. I amended the text to reflect the fact that our party isn’t actually planned yet so I’ll be able to hand write the details on later, but of course all of these details can in fact, be printed on. Making for a very professional looking birthday invite. 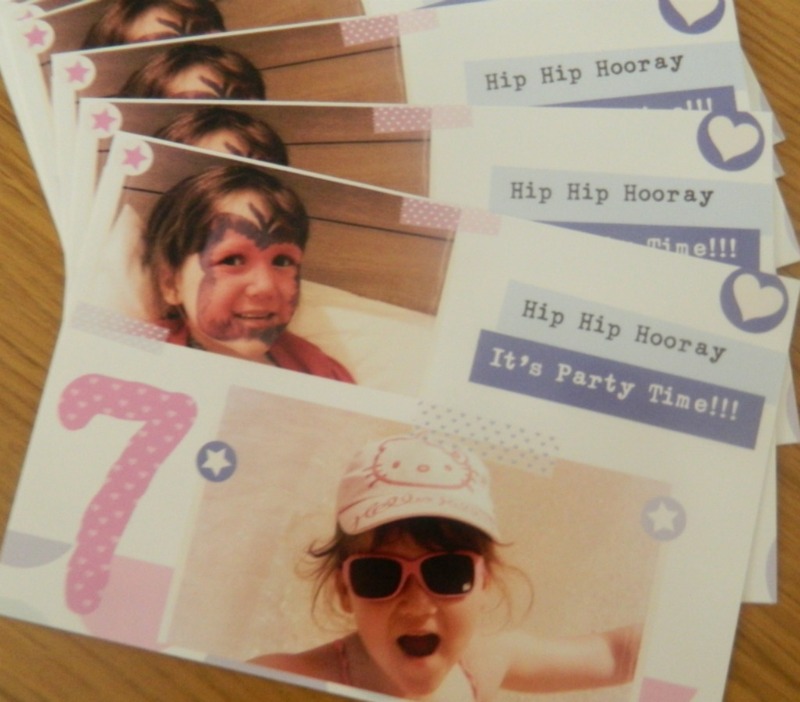 The PaperShaker review enabled us to order 20 cards costing £19.90. The cards are postcard size and glossy, and envelopes were included. From the point of order they arrived just over 24 hours later. Great service, great delivery and a quality product. Looking through the site I was struck by the gorgeous wedding invitations. The designs seem so beautiful, simple and on trend. Ordering 200 invites for £150 seems like a great deal to me so I’ll leave you with some images from this range including the first one, Bloom, my favourite. If you love the look of PaperShaker why not give it a go yourself and use my discount code for blog readers only! Use LOVECHICLIVING at the checkout to receive a lovely 25% off when you order before midnight on October 6th. Commissioned Review. I was given £25 to spend at the Paper Shaker site and chose these lovely invitations. All comments and opinions are genuine and honest.